SWEET THING: The School of Music alumna, aka Candy, is at work on her debut album. ALL great singers have at least one thing in common – they know how to use the voice as an instrument. In the case of Kimiela Issacs, the voice is a mellifluous, finely tuned instrument that stops you in your tracks. With a multi-octave range, the 30-plus year-old songstress can swoop and soar like the best of ’em in genres that run the gamut from classical to jazz and blues. But gospel is her forte, and when she opens her mouth she makes you a believer. With a voice like that, they don’t call her “Candy” for nothing. 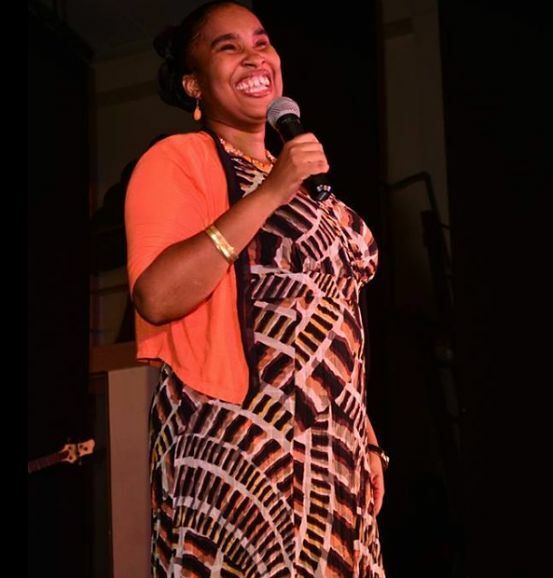 Witness her bring-the-house-down solo at the recent 38th renewal of the National Leadership Prayer Breakfast at the Jamaica Pegasus Hotel, where she earned resounding applause for her powerful rendition of Shirley Caesar’s “I Am God,” making the song entirely her own. Isaacs is used to that kind of response to her performances. She’s won tonnes of gold medals and trophies in the annual JCDC Music Festival, as well as other competitions that have introduced audiences to her luminous talent and warm personality.